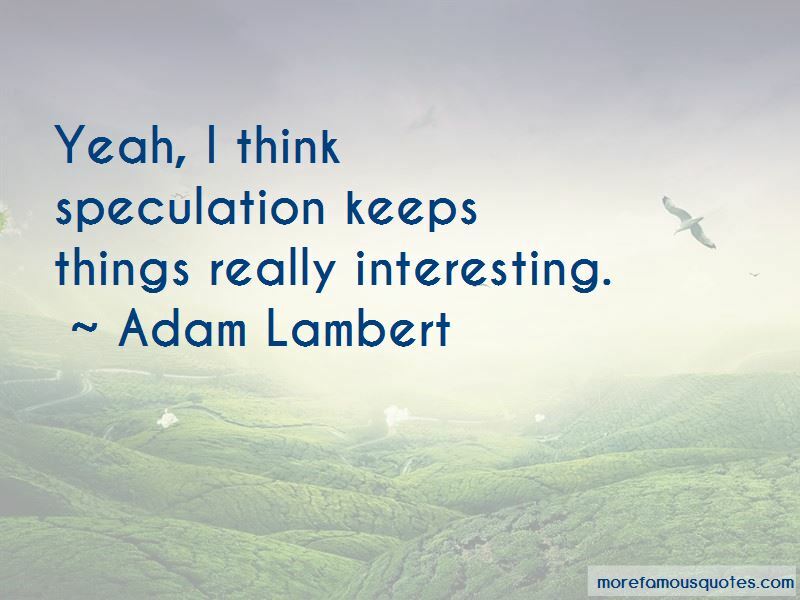 Enjoy the top 120 famous quotes, sayings and quotations by Adam Lambert. People want to talk about whether I have rock cred, whether I'm selling out, the theatricality, the gay stuff ... Chill out! And just enjoy yourself. There's not a blueprint for me to follow. Love overcomes hate. Love has no color. Love has no orientation. All is love. You are so much more, than your orientation, you know it and I know it. I like adding little elements into the final mix. I'm more fond of the '70s glam than '80s. I have that style of vocals ... there are a lot of pop artists who are using the glam vibe in their music. I'm part of that wave. 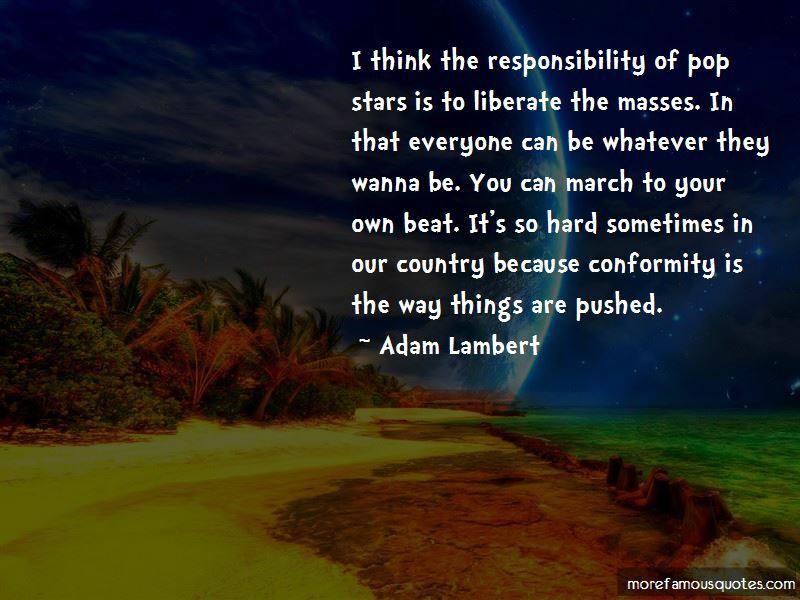 I think the responsibility of pop stars is to liberate the masses. In that everyone can be whatever they wanna be. You can march to your own beat. It's so hard sometimes in our country because conformity is the way things are pushed. 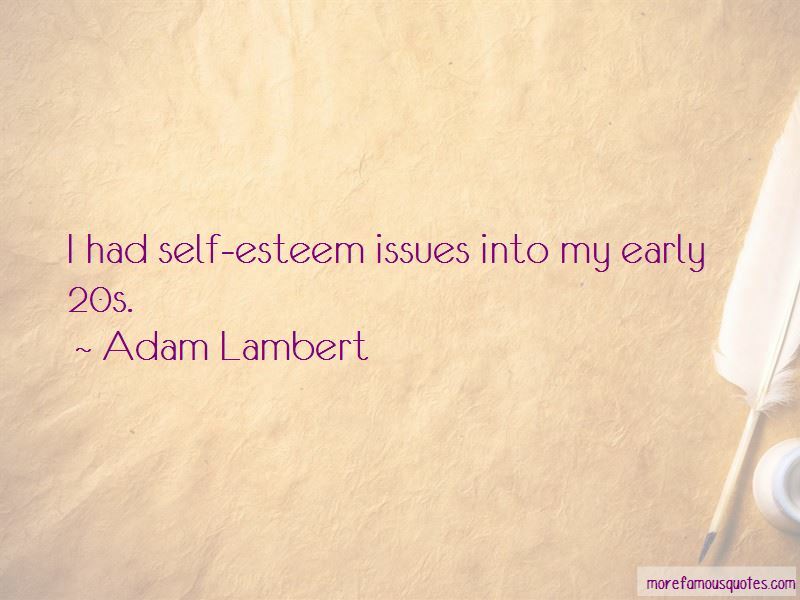 Want to see more pictures of Adam Lambert quotes? 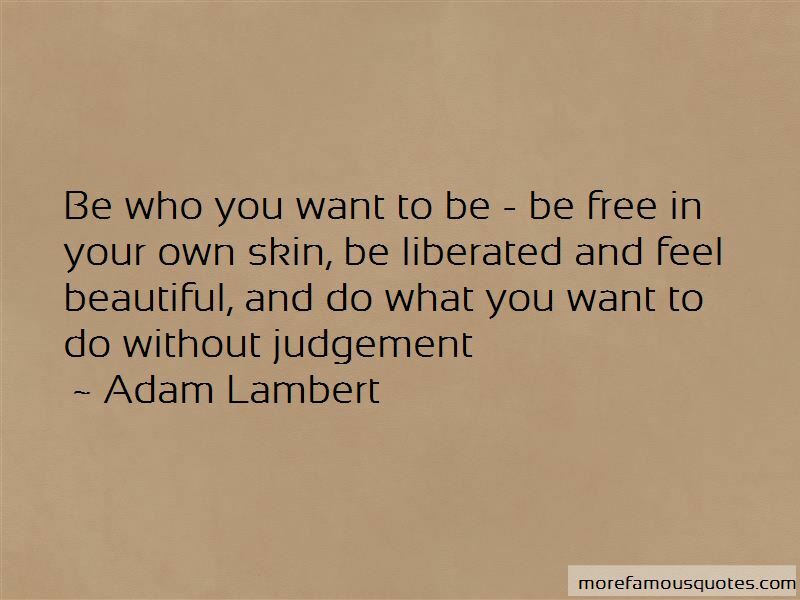 Click on image of Adam Lambert quotes to view full size.